Announced on the official Swivl blog this week, the Swivl camera dock has been redesigned and upgraded from the original version to add support for iPads, Android tablets and DSLR cameras. 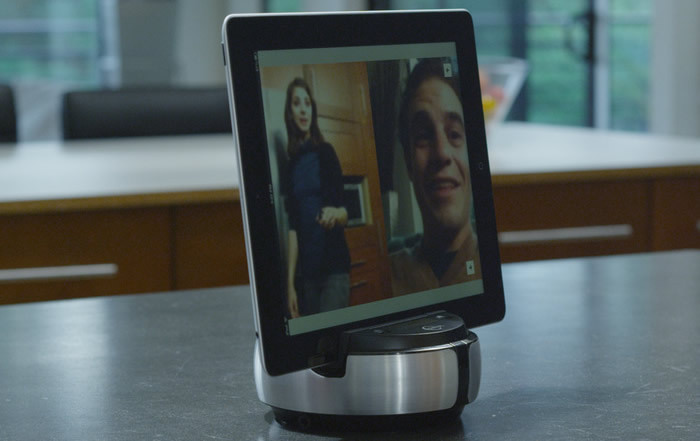 Designed to track movement, the Swivl camera dock is ideal for video chatting while walking around a room at home as well as watching a tablet when moving around a conference room during a presentation at work. The premium Silver edition of the Swivl also comes with a wireless microphone for video chat calls on Skype as well as speakers to amplify the voice of the caller. For photographers, the Swivl is an inexpensive solution for controlling the angle of the shot while standing in front of the camera or at a distance away from the camera in order to capture wildlife shots. When combining a Swivl with a DSLR, a photographer can take more controlled panorama shots as well as time-lapse shots. In addition, photographers with an iPad can download a Swivl iOS application to control the angle and timing of the shots remotely. The application offers a remote preview function to view the shot as well as fire the trigger and alter settings such as zoom, ISO and white balance. An Android application is currently being developed as well. This device could be useful to wedding photographers that want to capture some closeups of the bride during the wedding ceremony, but don’t want to stand near the alter snapping shots distracting from the ceremony. The Swivl device could also be useful to professional video bloggers that want to move around during a broadcast, but can’t afford to hire a cameraman yet. According to the design specifications of the new Swivl, the motion platform can rotate a full 360 degrees and the user can adjust the angle up to a 20 degree tilt. The device comes with rechargeable batteries which last at least six hours and the Swivl also charge mobile devices. Both the white and silver version of the Swivl come with mounting kits for DSLR cameras as well as tablets or smartphones. However, only the Silver version of the Swivl comes with a remote control for manually adjusting the position of the motion platform. 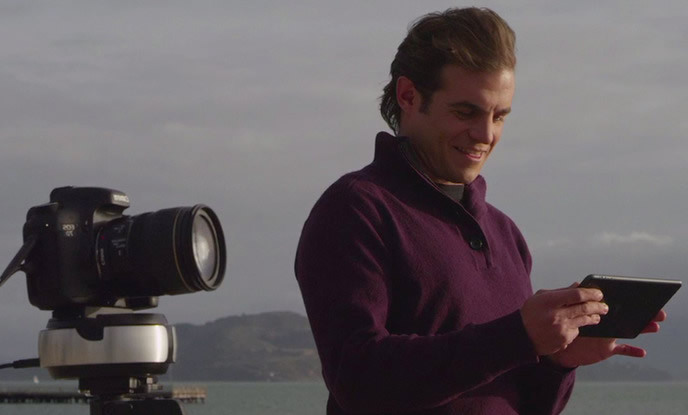 The Swivl supports DSLR cameras that weigh up to eight pounds and the device includes a 3.5mm audio jack for connecting wireless audio. The team working on the Swivl plans to have four iOS applications ready for launch and will roll out similar Android applications shortly after the launch. They also plan on releasing a version on the hardware with a software development kit to encourage the design of custom Swivl applications. 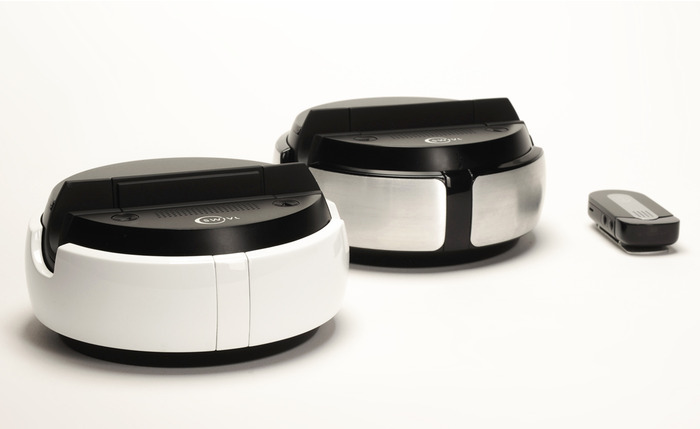 According to the Kickstarter page, the new Swivl will roll out to Kickstarter backers by July 2013. Early adopters can still order the white version of the Swivl for a price of $99, but the $149 early adopter price on the silver version is already gone. The silver version of the Swivl can be ordered for $175. To date, the Swivl creators have already raised approximately 40 percent of the Kickstarter funding goal and have more than a month to completely fund the project.